Access 6 lists that will help you check and maintain your building. 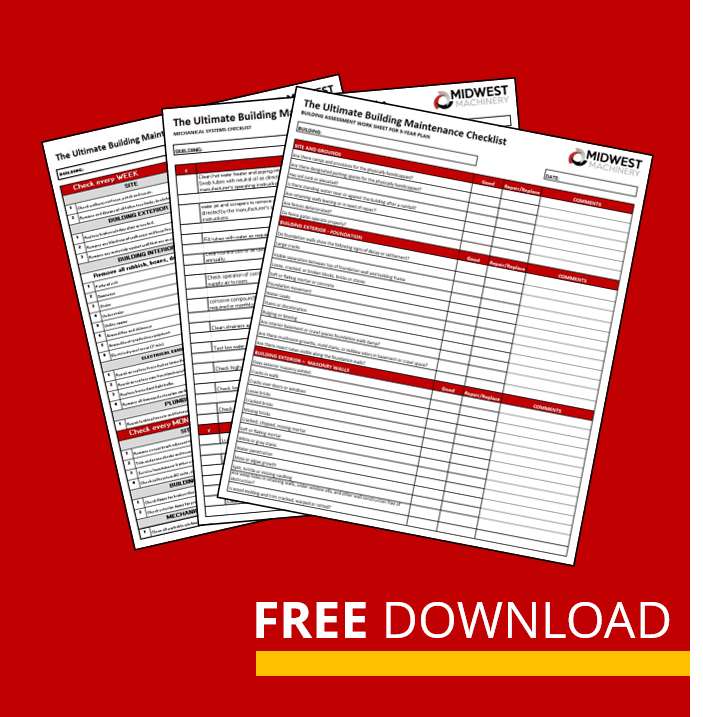 DOWNLOAD OUR FREE BUILDING MAINTENANCE CHECKLIST! Mechanical Systems, Building Inspection, Safety, Service Records, Building History and more!